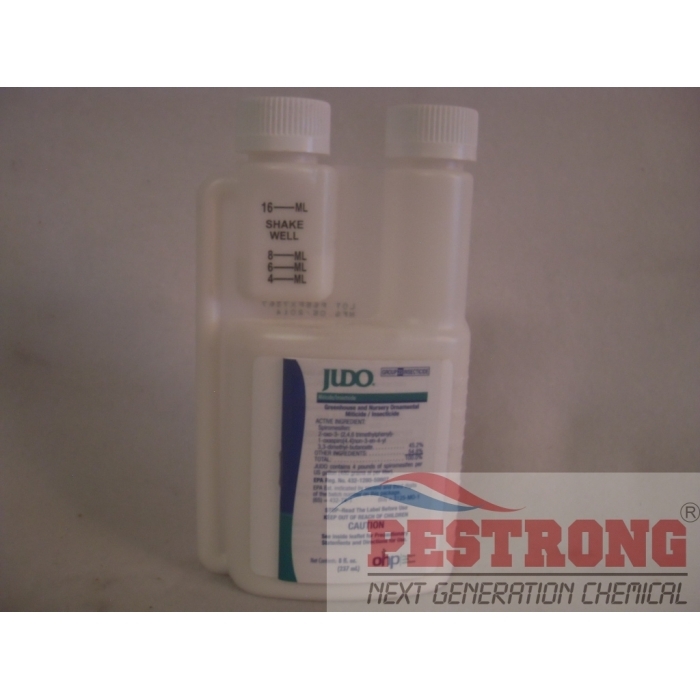 Where to Buy Judo Insecticide, Judo Miticide Insecticide - 8 Oz - $344.95 for Sale with Fast Free Shipping! Judo Miticide Insecticide - 8 Oz is highly effective against a wide range of mites and whiteflies. Judo affects all development stages of mites and whiteflies (including eggs and immature stages) that also provides extended control of mites (30+ days) and whiteflies (21+ days). Judo is translaminar and moves readily through the leaf tissue. Judo miticide is one of the best at killing mites. It's fast at killing mites and keeps them away for a long time. Seems really expensive for such a small bottle. But you can create a massive number of gallons with just one bottle. And it is very powerful. It is fantastic at killing mites. It is beyond worth it. Very good miticide, not only does it knock down mites fast, but it also keeps them away for a month or so, I would recommend this product to anybody without any hesitation.